When beginning a bath remodeling project, one of the first things every homeowner should consider is what type of flooring will work the best for their bathroom. Keystone Homes in Troy, OH, has years of experience helping homeowners find solutions for their remodeling projects, so they’ve compiled a few helpful tips for you. Is There Any Flooring I Should Avoid When Bath Remodeling? One important aspect to keep in mind when remodeling your bathroom is that things will get wet: this is especially true when it comes to your bathroom flooring. Water gets everywhere when you step in and out of the shower or the tub, so it’s important to avoid flooring materials that don’t hold up well when they are exposed to moisture. Because of this, the professionals from Keystone Homes advise against installing carpet or solid wood, both of which can fall victim to mold growth and other issues. What Is the Ideal Flooring Option for My Bath Remodeling Project? When selecting flooring for your bathroom, it’s important to choose a material that’s durable, which is why Keystone Homes recommends tile flooring. Not only is there a wide range of types and styles of tile flooring to choose from, but it’s also long-lasting, easy to install, and requires minimal maintenance. 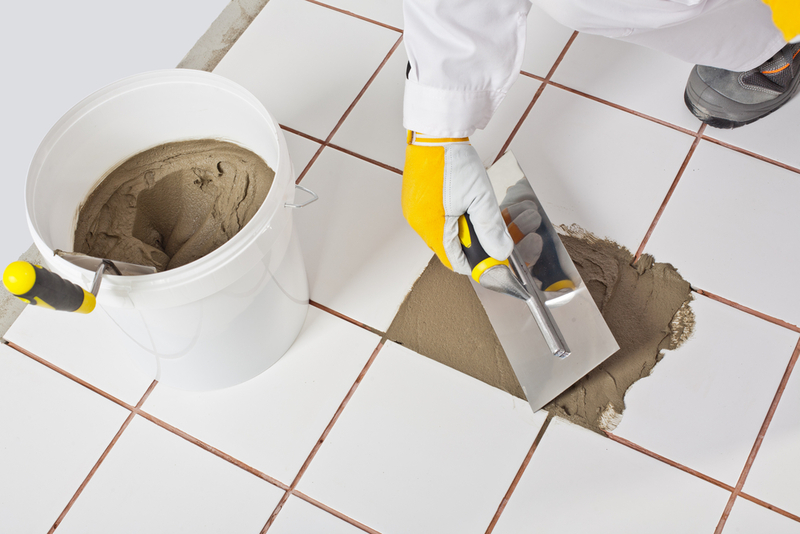 Homeowners whose bathrooms retain excessive moisture may also find it necessary to invest in a water-resistant, high-quality grout during the installation process. For more helpful tips on choosing the right flooring for your bath remodeling project, call the professionals from Keystone Homes of Troy at (937) 332-8669. They also specialize in kitchen remodeling and home design, so visit them online for a complete list of services.